I added a couple of new monsters to my game: a skeleton guy and a werewolf character. 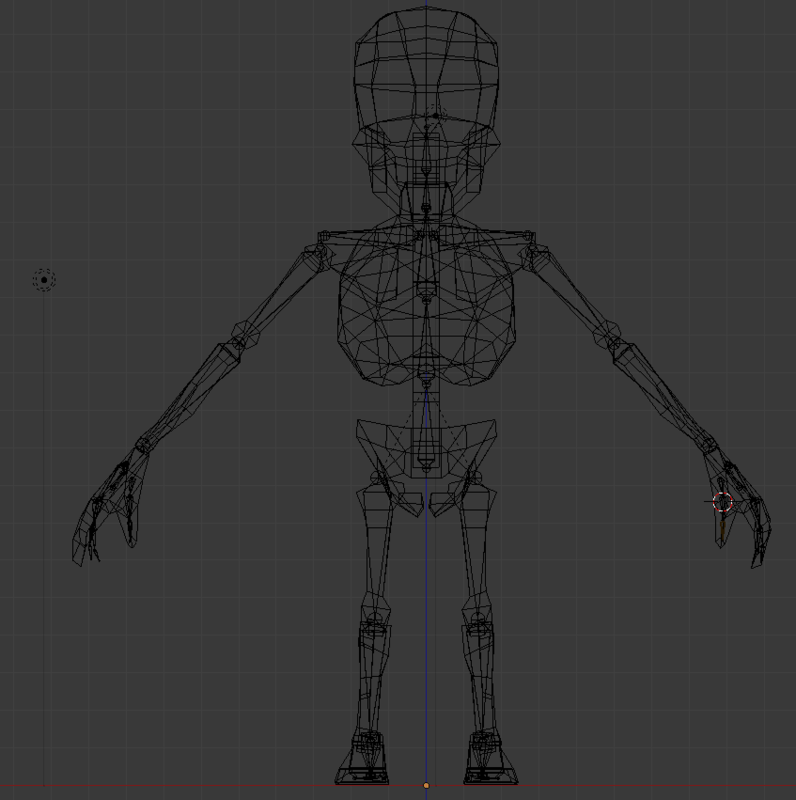 I originally thought that modeling and rigging the skeleton would be easier than modeling a skinned mesh, it turned out to be a lot more difficult. I modeled each bone with the intention of simply parenting each rigid bone model to the armature’s bone. 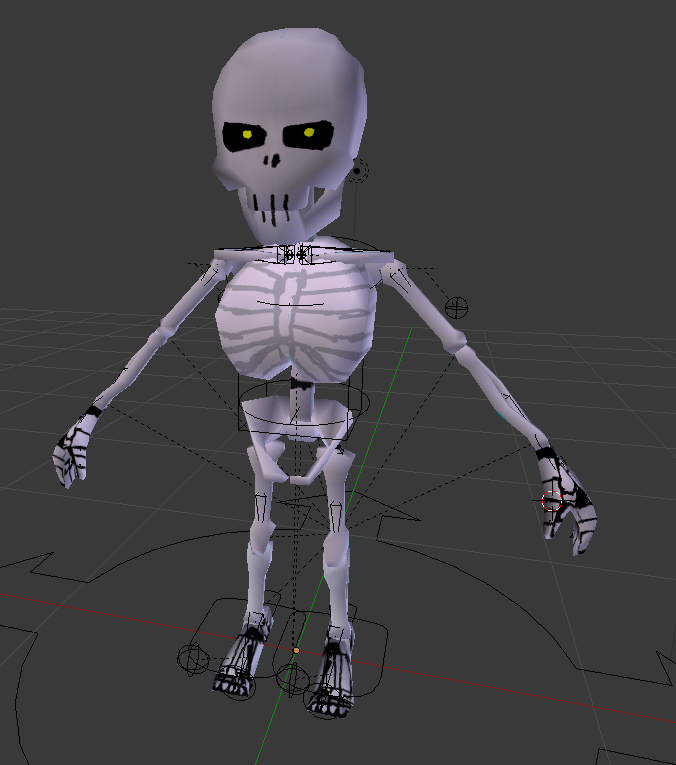 I hoped to eventually have the skeleton break apart into its component bones when the hero character strikes it. Unfortunately, at least for this first pass, it was proving too time-consuming to do this way, and this means that the underlying code base would require some special-case implementation to support monsters breaking apart. For the time being, all bones are combined into a single mesh, and thereby skinned to the armature. As far as the texture goes, I know it looks pretty horrible as it is. It’s just a temporary test texture, and I’ll be improving that as I get closer to launch. The werewolf, on the other hand, was very quick to model, especially with a model sheet that exposed a lot of the detail and dimension for me. You’ll notice that in the first image, the model sheet drawing isn’t exactly symmetrical. I just worked my way around this and did my best to estimate the vertex positioning. The lower jaw is a separate model that is attached to the chest bone. 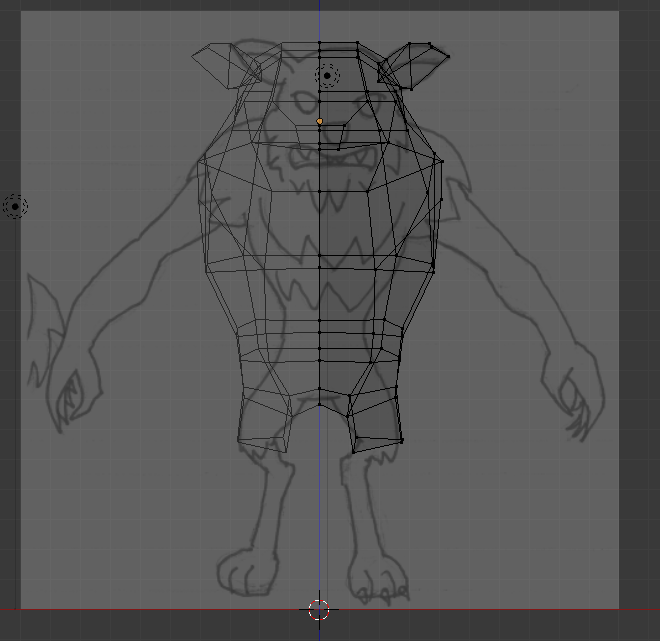 This way, I can animate the werewolf biting the hero character, because the neck bone will be rotated away from the chest bone. I could have added an additional bone to the armature specifically for the lower jaw, but again, this would require special-case code that I didn’t intend to implement. 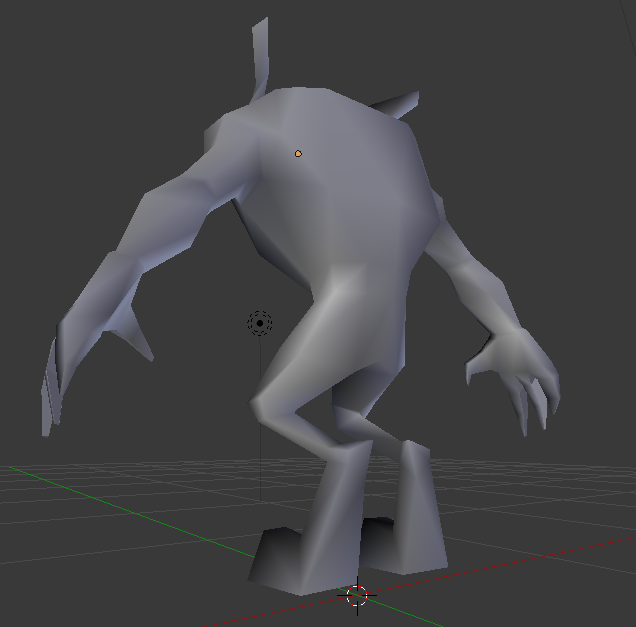 I’m pretty happy with this model, it’s design, vertex and face count, and how easy it was to build and animate. It also looks like the most menacing character in the game so far. So, my game is coming along. I’m running into numerous road blocks on the way, but that’s game development for you. I’m hoping to wrap up around mid October, so I’m excited, a little anxious, and just working on the project whenever I can.